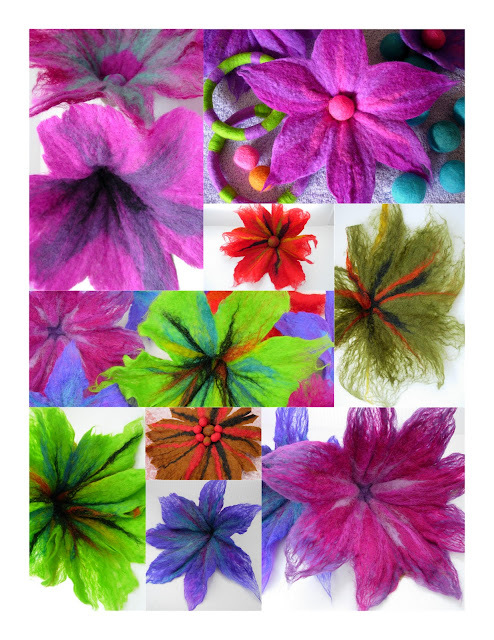 I'd planned a day explaining simple felting techniques that can be used to make jewellery - flowers, beads, bangles & brooches - plus needle felting, which is a perfect way to decorate jewellery projects. Lots of ideas, working small, so everyone could sit, relax & gently mould the felt into shape just using their hands... Everyone loved making the flowers, and made several each, using a really simple method.This produces a lovely large bloom which can be shaped into neat regular petals or frayed for a more informal finish. All the flowers were very different and will look even more fantastic once they're embroidered and decorated with tiny beads. 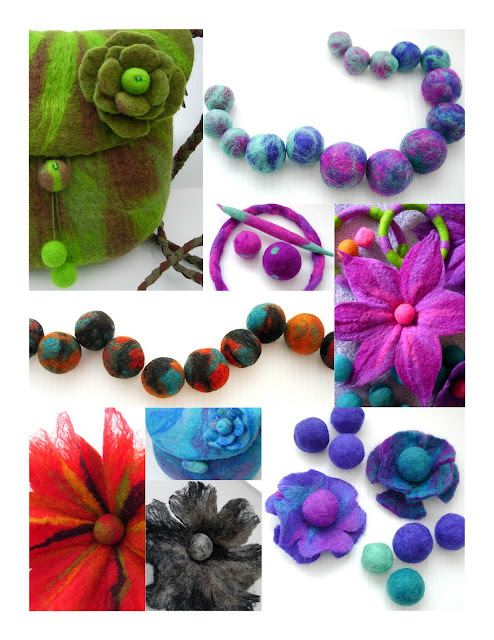 Hopefully I will get the finished decorated pieces of felt jewellery back to photograph, and I'll also put some more of the workshop photo on Flickr. Several people have recently emailed photos of their felt work - I kept saying I'm going to put together a students' gallery and I've finally go around to doing so - so check it out! This was the last workshop for now, but I've already booked another six dates at Maderia House in May & June. I've just got to finalise the details and will be posting them soon. There are still places available on my Beginners Workshop at Dimbola, Freshwater Bay (Thursday March 31st 10-4). If you are interested please contact Shirley at 01983 756814.